Character's appearance:Ansem has long hair,it's argueably purple or white.He has a very slender and dark skin tone.As for his clothes he wears white rubber gloves,shoulder pads,and a battle robe that is open at the torso.He has the heartless ensigmia as a tatoo on his torso. Personality:Ansem is an often determined and curious person.He started the birth of the heartless by meeting a very small shadow around his hometown Hallow Bastion.He is very determined because Ansem needed to know the purpose of these creatures,and he did not stop until he got what he needed. Ansem is very friendly to those that are able to speak on his team.Although if you fail too many objective,he will lose trust in you and start building rage instead.Ansem is the strongest member of the heartless,he knows how to use them to his advantage.So basically he can create any heartless he feels like.The only possible match for him is Sora,or Xemnas. Canon History:My Canon was the final boss in Kingdom Hearts 1.Through all of Sora's adventures he found out that he was causing all the trouble with the heartless,and that he must be stopped.You have to fight Ansem over 4 times in Kingdom Hearts 1. 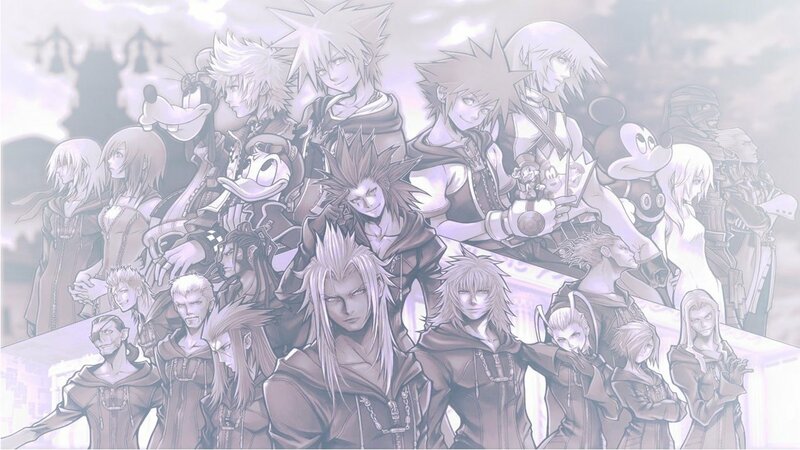 Ansem's main purpose was to subdue kingdom hearts,and to gain more power.Since he didn't accomplish his goal,we would have never known what he was going to do with all his power.The same goes for Xemnas.Ansem is the heartless to Xehanort,and Xehanort's nobody is Xemnas.